Where Cheyenne was disorienting because it was a pretty alien experience to me, Salt Lake City reminded me not to assume things about cities. 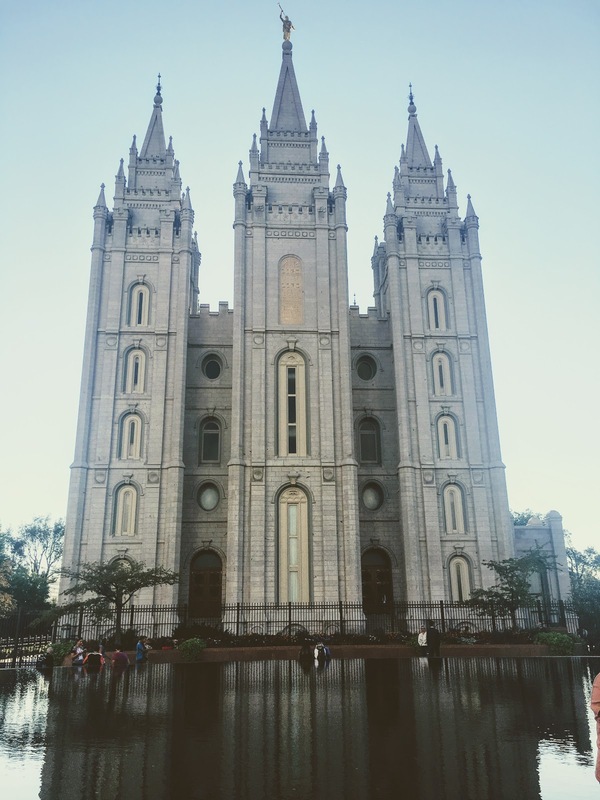 I wasn’t sure what to expect from Salt Lake City, and in my stereotyping brain I just sort of assumed it would be a pretty white-bread city with not a lot of things to do since it’s the epicenter of Mormonism. Boy, and thank god, was I wrong. We stayed right downtown, which was perfect since we were in walking distance from just about everything. 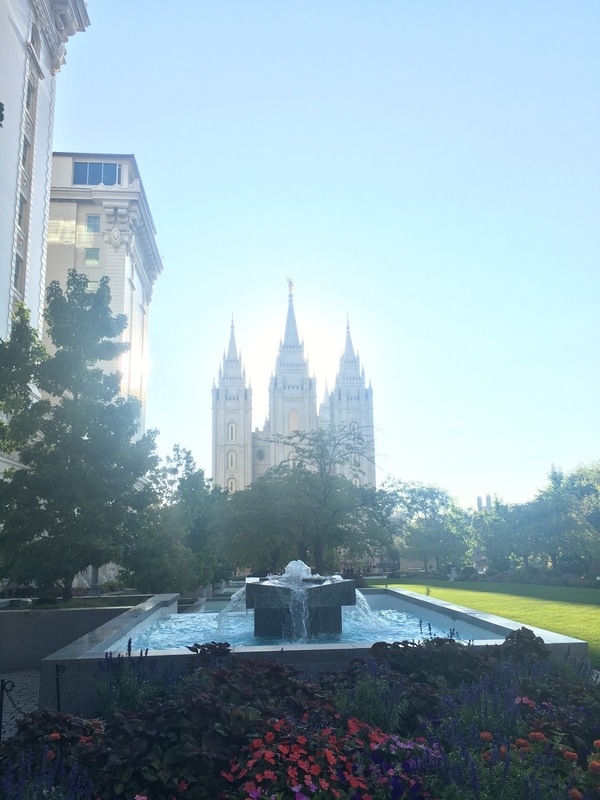 Despite my general distaste for organized religion, I wanted to check out the LDS Temple grounds, so that was our first stop. After we wandered around the temple grounds for a while, we decided it was time for a drink and found Bar X. 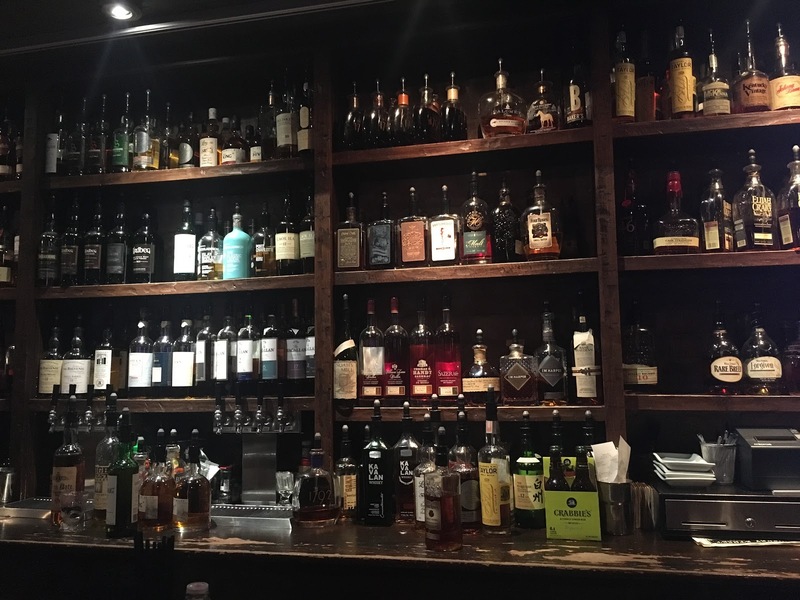 Bar X is partially owned by Ty Burrell – aka Phil Dunphy from Modern Family – and it’s a cool, dark, almost-dive-y Prohibition-esque cocktail bar. If you’re familiar with Charleston, South Carolina, it reminded me a LOT of The Gin Joint (aka one of my favorite bars anywhere. 😍). I took zero pictures inside because it was pretty dark, but we both had some KILLER cocktails. Max got an Old Fashioned, and I got a Jameson cocktail that I have already forgotten. Once we decided to have another round, we opted for the “Roulette” option on the menu. I told our bartender (his nametag said Nando and he was amazing so if you are in SLC and go to Bar X definitely get a drink from him) that “I like gin…” and before I could even offer any suggestions or stipulations he was already making me a cocktail. And it was incredible. It had some sort of lemon and honey and something herb-y in it, and he called it the “Sunflower.” Max got another whiskey drink that resembled an Old Fashioned but wasn’t quite the same. From there, we scouted out someplace for dinner and were led to Whiskey Street, a bar/restaurant a few blocks away. 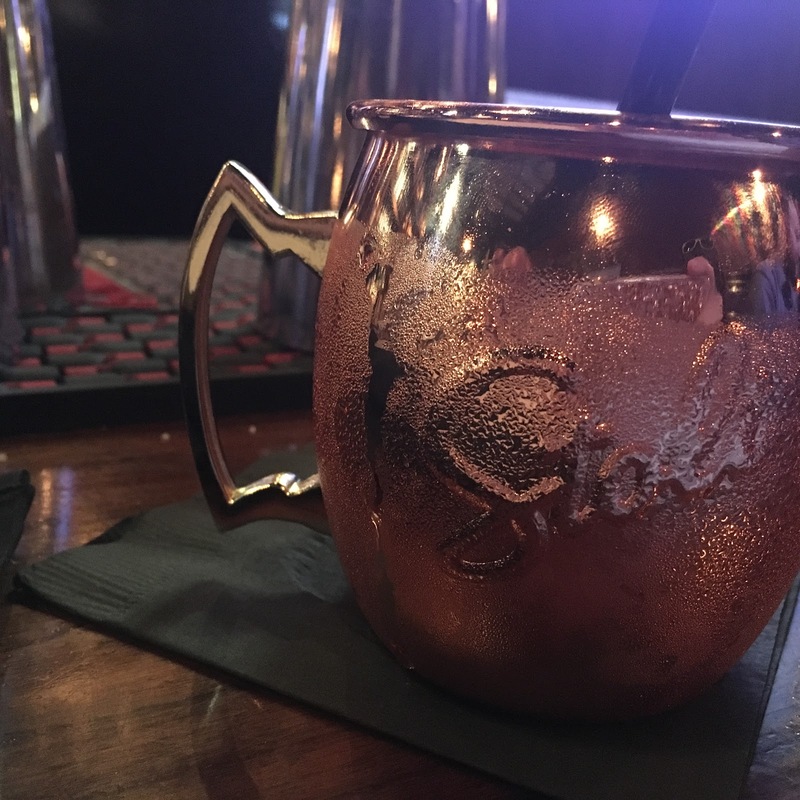 I was drawn to Whiskey Street because they had a full page on their cocktail menu dedicated to Mules – I don’t often order a mule, but they are among my favorite standard cocktails. I got the Cucumber Mule, made with ginger beer, Effen Cucumber vodka, and mint (it was fantastic!). Max ordered some absinthe, which is apparently very popular in Salt Lake City seeing as it was offered at every bar we went to. I had never tried it before, so I took a sip, checked that off the bucket list and now I’m good. I don’t like licorice or anything that tastes like licorice or like it might have come in contact with licorice, so absinthe is not really my jam. More power to you. It was less gross than Jagermeister, and significantly less gross than the Jagermeister-and-root-beer combo someone purchased for me in Indiana last summer (two of my least favorite things combined. Awful). 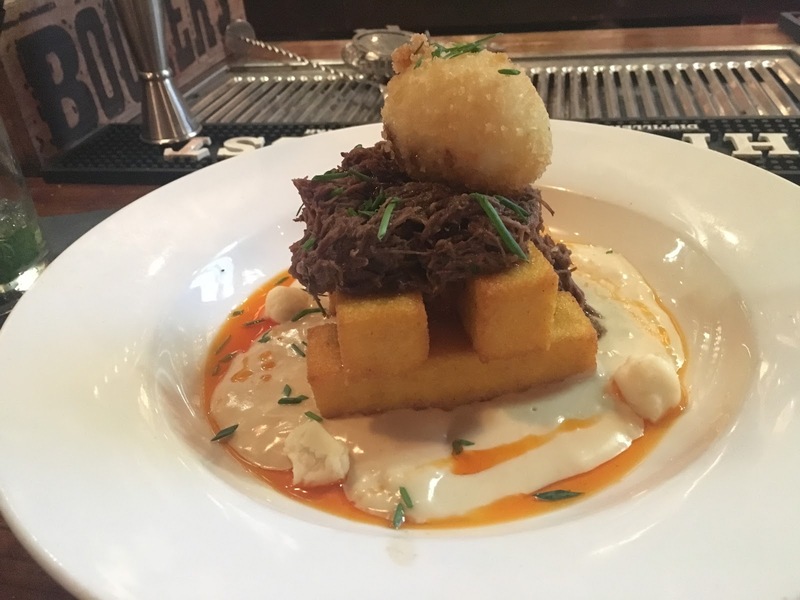 We ordered a “polenta poutine” that had short ribs, cheese curds, a battered boiled egg, and gravy over polenta sticks, followed by my ahi tuna/chile relleno combo (different, but good, also spicy!) and Max’s bourbon and coke meatloaf (not my thing, but he liked it). We ended our night with a glass of wine at the hotel bar, because we are actually old men. Posted on August 24, 2017 January 14, 2018 by DaniPosted in road trip, travelTagged architecture, bars, cocktails, food, gardens, outdoors, restaurants, road trip, salt lake city, tourist, travel, utah, wine.